Until the debut of MSC Meraviglia in June 2017, the 3,959-passenger Splendida was one of the biggest in the fleet. 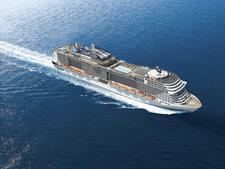 In common with its siblings, MSC Fantasia, Divina and Preziosa, it offers fun-filled, informal cruising in dazzling surroundings that include Swarovski crystal studded staircases that cost 3,500 euros per step. Aside from the peaceful haven of the 71-suite Yacht Club -- a separate "ship-within-a ship" where passengers pay premium fares for an exclusive experience -- the atmosphere on Splendida is lively and exuberant, which also means pretty noisy at times. This is due to the fact that many passengers are from Italy and naturally more outgoing than Brits and North Americans. That said, Splendida has a really inclusive feel, with a very friendly atmosphere. Reflecting the typical Mediterranean lifestyle, most young children onboard stay up late and will be out and about with their parents -- attracting none of the stern glares they might get on more traditional ships. 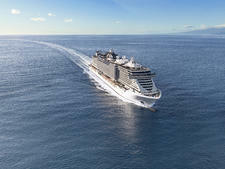 Basic cruise prices cover the cabin and meals, although there are upgraded packages such as the Aurea Experience that includes priority boarding, anytime dining, drinks, access to the private sun deck and thermal suite and cabin perks such as a bathrobe and slippers. 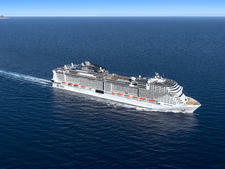 For those who want to cruise without piling on the pounds, Splendida recently debuted the new Wellness Package, which includes a personalised fitness programme, daily gym class, and dietary advice. 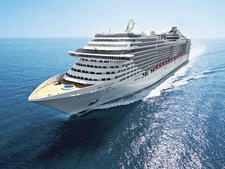 Passengers can also book -- in advance or onboard -- a range of drink deals that range from water, beer and coffee packages to wine with meals or an all-inclusive package covering all drinks onboard that is priced at 26 euros per day for adults and 12 euros for children, and has to be booked for the whole cruise. Splendida has 14 public decks connected by 25 lifts, with a wide range of bars and public areas and it never feels overly crowded (aside from in the main buffet at certain times of the day). There are some gorgeous public spaces, such as La Piazetta, which resembles a quaint Italian square, and the central hub of the soaring atrium, with its sweeping, glittering staircases, crystal-studded piano, water feature and glass-sided lift. 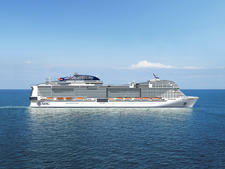 Although passenger flow around the vessel is generally very good, some of the layout is rather confusing; particularly the entrances to the two main dining rooms where a section of the two decks on each side are closed to passenger access. Also, when you're orientating yourself with the ship the penny eventually drops that there is no Deck 17 (this is considered an unlucky number in Italy). Splendida places an emphasis on being an "eco-ship", with various energy saving, water recycling and waste management systems in place. 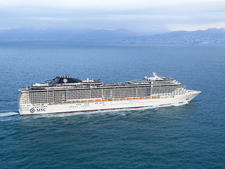 MSC was the first company to receive the 7 Golden Pearls environmental award for its Fantasia-class ships from the international Bureau Veritas testing and certification organisation. Although English is the main on board language, the entertainment has to be geared to appeal to multinational audiences, which means it is mostly visual with dancers, bilingual singers and acrobats rather than comedians and specialist acts dependant on communication with the audience. For the same reason there is no cinema or movies under the stars. 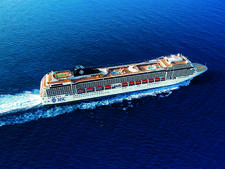 Information on ports of call can be found on the in-cabin TVs and daily newsletters, and there are no port talks or lectures. 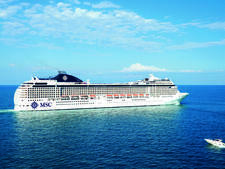 MSC sails throughout the year in the Mediterranean and offers seasonal itineraries in northern Europe, the Caribbean, Cuba, South America, South Africa and the United Arab Emirates. 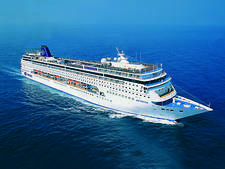 Marking a change from many cruise lines, Brits and North Americans are in the minority and most Splendida passengers are from mainland Europe, particularly Italy, with others from further afield including South America, China and Japan (there were 36 nationalities on our cruise). 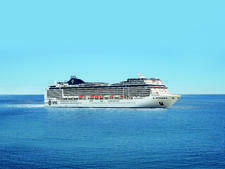 MSC also attracts couples, families and groups of friends -- including students on their college holidays -- who are generally younger than cruisers on more traditional ships, which makes for an all-encompassing, and sometimes lively, atmosphere. 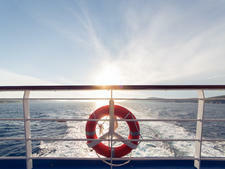 There are few singles onboard and no special activities for solo travellers. 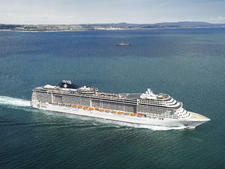 Notable differences from dedicated English-speaking ships include announcements in multiple languages -- the main five being English, Italian, Spanish, German and French -- and sometimes Russian, Chinese and Japanese, depending on the passenger mix on a particular cruise. All credit to members of the crew in all departments, the majority of whom switch seamlessly from one language to another. 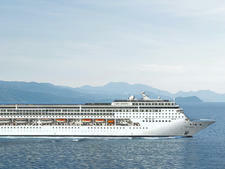 There are also dedicated on board hosts for the above nationalities. It should be noted that some cultural differences can cause a few minor rubs, particularly with British and American passengers who are used to forming orderly queues and sailing on smoke-free ships. Waiting patiently is not the norm in some countries, so don't be surprised if someone pushes in front of you at the buffet. 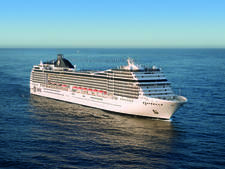 Also, cigarette smoking is more prevalent on Splendida than many ships, with a smoking lounge and dedicated smoking areas on the pool decks and in a section of the casino, where the smell tends to linger. 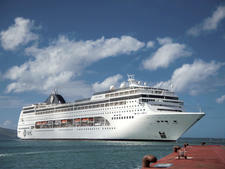 Although the ship's surroundings and decor are sparkly and glamorous, Splendida is very laid-back and relaxed. Daywear is casual and the daily programme sets out the three evening dress codes which are (supposedly) applicable in the restaurants from 6 p.m. For gala nights -- usually two on every seven-night cruise -- the recommendation is a dressy outfit, such as a formal gown or cocktail dress for ladies, and black tie or a dark suit and tie for men. Informal nights mean a dress or trousers for women and jacket and trousers (no jeans) for men. For casual nights more or less anything goes, such as jeans, T-shirts and sportswear, aside from shorts, swimwear and -- rather curious that it has to be spelled out to passengers -- bare feet in restaurants. That said, many passengers seemed to do their own thing, no matter what is recommended in the evening, and there was no sign of crew members trying to enforce the code. Of the women that did dress up on formal nights, the tendency was for cocktail dresses and nobody wore long ball gowns. 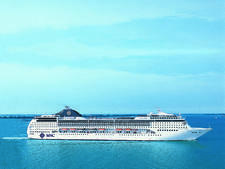 There is also an optional theme night on most cruises, such as a white party or 70s and 80s night, where passengers can don anything suitable they might have to hand. 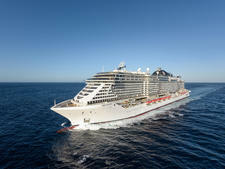 A gratuity charge of 10 euros per day, for adults and children over 12, is automatically added to shipboard accounts. The charge is 5 euros per day for children aged two to 12 and there is no charge for infants under two. A 15 per cent bar service charge is automatically added to all purchases. A 15 per cent service charge is added to all spa and salon services. The onboard currency is the euro.